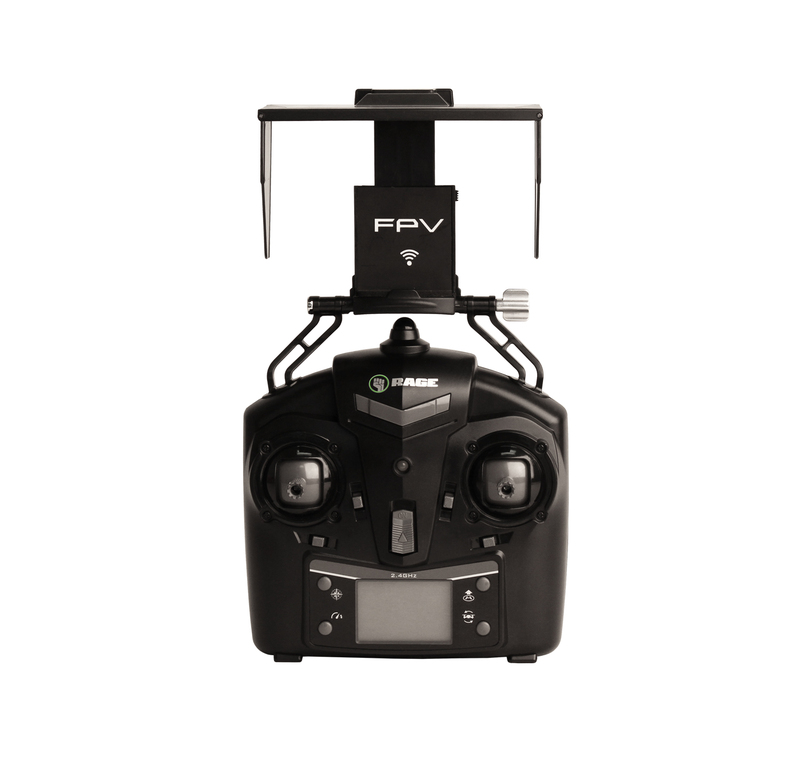 If you've hesitated to enter the popular and exciting world of aerial photography because of complexity or cost, the Century FPV (First Person View) multi-rotor drone is the perfect solution. 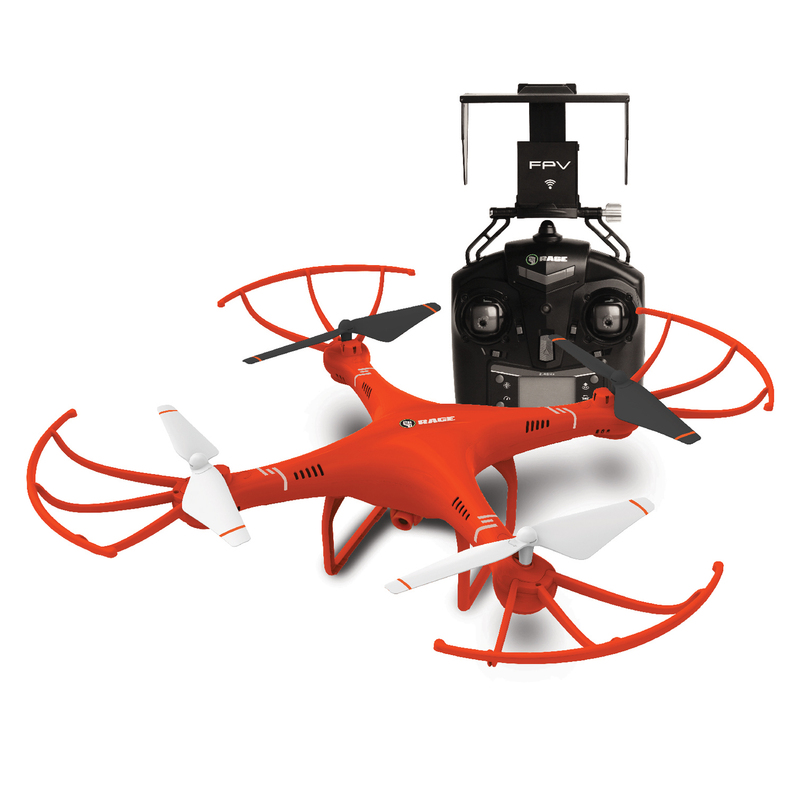 Its convenient size, ease of use, safety features and high visibility color scheme are coupled with a long list of standard features including micro 1280p x 720p HD camera, precision 2.4GHz transmitter with the option of smartphone or tablet flight control, 6-axis microprocessor-controlled gyroscopic stabilization, altitude lock, heading hold mode, one-touch automatic takeoff/landing control and more! Not only is the Century an ideal way to begin creating your own stunning aerial video and still images, the Wi-Fi enabled FPV option provides a birds-eye view of flight as if you were sitting in the cockpit. The included 4GB micro memory card and USB reader make it simple to download images and videos to any PC. 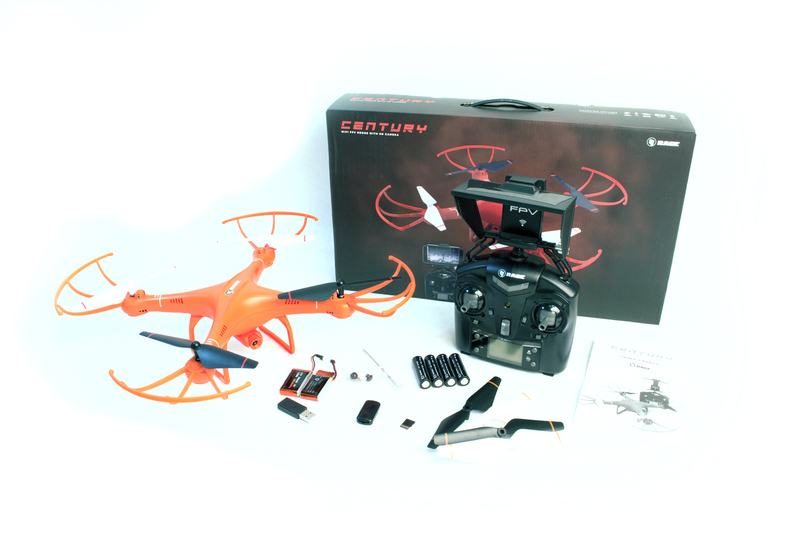 In addition, the Century includes two battery packs with USB charger for extended flying sessions, 4 AA batteries for the transmitter, extra propellers, and a comprehensive owner's manual. 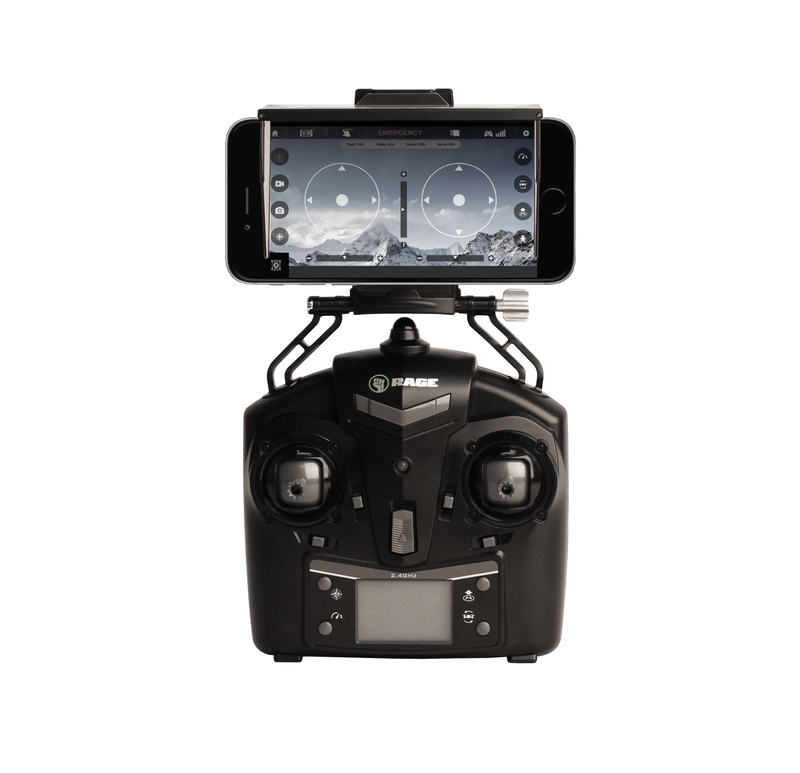 Combine this long list of features with outstanding factory service and support, a free flight control/video app available on both iOS and Android platforms, and a stable, durable, fun to fly platform, the Century delivers unbeatable performance and value. What are you waiting for? Start enjoying the fascinating world of drone flight within minutes of opening the box!